On the same day it released its 2015 Super Bowl ad online, GoDaddy quickly responded to a wave of criticism from dog advocates and said it would not air the spot on the game. 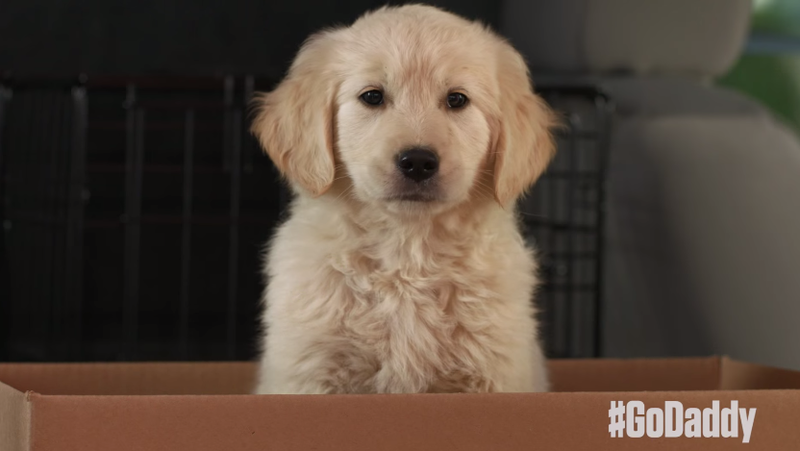 The 30-second ad featured a golden retriever puppy finding its way home after falling out of a truck, only to find its owner has used GoDaddy to set up a website that lets her promptly sell the dog to a new owner. The ad seemed to be an attempt at satirizing Budweiser's highly anticipated "Lost Dog," a follow-up to 2014 Super Bowl favorite "Puppy Love." But many in the animal rescue community swiftly pointed out that dogs purchased online often come from "puppy mills," and the hashtag #GoDaddyPuppy became a rallying point for critics. GoDaddy CEO Blake Irving responded to the ad's critics on Twitter this afternoon, vowing "we will not air it." GoDaddy officials could not be reached for further comment. Gerry Graf, who runs the agency that made the spot, Barton F. Graf 9000, declined to comment. UPDATE: At around 6:30 p.m. ET on Tuesday, Irving posted a longer explanation to the GoDaddy blog—confirming the ad won't run on the game, but saying the company will still air something during the telecast. "We are pulling the ad from the Super Bowl," he wrote. "You'll still see us in the Big Game this year, and we hope it makes you laugh." The YouTube video was also removed around the same time. Animal rights advocate Helena Yurcho also launched a Change.org petition Tuesday demanding the ad be pulled. It was quickly closing in on 40,000 signatures Tuesday afternoon. "Essentially, GoDaddy is encouraging private breeding/puppy mills while shelter animals wait patiently for their forever homes or worse—to be euthanized," she wrote. "They are also encouraging purchasing an animal online; the animal could be sold to someone who runs a fighting ring, someone who abuses animals, or to someone who cannot adequately care for the animal. Animal rights are no laughing matter and to portray them as such is cruel and irresponsible." PETA director Colleen O'Brien weighed in on the controversy with a statement to Adweek: "GoDaddy's now-yanked commercial showed that anyone who sells a dog online is a callous jerk. PETA liked that about the ad. The sale of animals online and from pet stores and breeders should be roundly condemned, and it was today. GoDaddy did the right thing by swiftly promoting adoption. PETA's message is that when you buy a dog from a pet store or a breeder, a dog in an animal shelter dies." On YouTube, the clip received more than 800 comments, many of them negative. Dog breeders and animal rescuers alike critiqued the spot for sending a negative message. "Puppies thrown in a cardboard box in the back of a pickup?" asked one anonymous commenter. "Most likely being transported from puppy mill to broker since no mother in sight? No health tests on parents? Breeder too lazy for a proper kennel name?" Several breeders defended their industry by joining in the chorus of those angry at the spot. "Proper breeders make sure their puppies go to good homes!" noted one. "They do not send them to just anyone not knowing how or where the dog will be treated, etc. A good dog breeder loves their puppy enough to take them back and keep them if they can't find a good situation." Earlier in the day, Irving had defended the ad to an extent, though he clearly changed his mind upon further consideration. @beaglesbargains Buddy was purchased from a reputable, loving breeder, just as the ad suggests. Sell or adopt, both need an online presence.